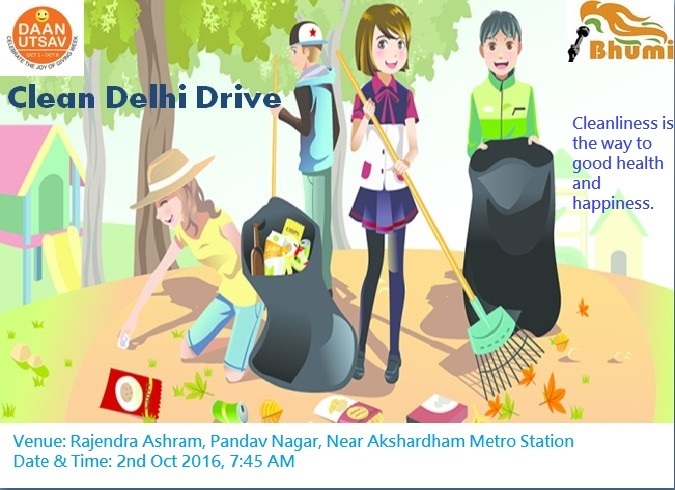 As a part of Daan Utsav initiative, Clean Drive Delhi is going to take place on Oct 2nd, Sunday along with the along with the residents of Pandav Nagar. Venue: Rajendra Ashram, Pandav Nagar, Near Akshardham Metro Station. Posted in Delhi and tagged Daan Utsav, Environment.